I don’t want to be a projectile weapon. Most of us know that seatbelts and car seats protect the people using these safety devices. But they also protect others in the car. Unrestrained passengers risk not only their own lives, but also the lives of other people. Collisions can catapult unrestrained occupants passengers in the car that would otherwise occur! More Americans are wearing safety belts than ever before, but according to 2003 National Highway Traffic Safety Administration statistics, more than 1 in 5 people in cars today are unrestrained. In some states, more than 1 in 3 are unrestrained. We can do better. 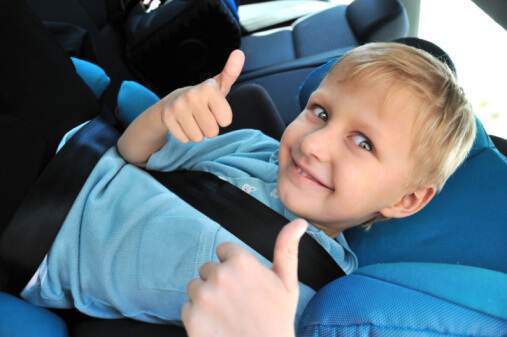 Buckling up every time you ride in a motor vehicle is a simple way to say you care. forward, backwards, or sideways in a crash, killing or injuring others in the car, according to a sobering study in the January 21, 2004 Journal of the American Medical Association. Adults not wearing safety belts in the front seat increase the risk of death of properly restrained passengers in the back by 22 percent! Anyone not restrained increases the risk to others in the car. Overall, when you wear a safety belt, you could prevent about 1 in 6 deaths to others.